Gardeners can easily grow fresh produce all year round with a little help from Eye Hortilux. Eye Hortilux both designs and manufactures high-quality grow lamps for a wide variety of applications, including home gardening, plant factories, greenhouses, educational programs and biotechnology. 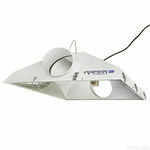 All of Eye Hortilux grow lamps are manufactured in the company’s factory located in Mentor, Ohio. It is the only HID lamp manufacturer that uses its own chemistry to make lamps. This makes Eye Hortilux lamps unique in that the chemistry in each lamp produces the specific spectrum required by each plant. Products offered by Hortilux include metal halide (MH) lamps, high pressure sodium (HPS) lamps, conversion lamps, ballasts and fluorescents. High Pressure Sodium lamps can be used as a standalone light source throughout all of the growing stages, making them a convenient, affordable and simple solution for indoor gardening. HPS lamps emit sufficient violet, blue and green spectrum light to be a standalone source of light for each phase in plant production. 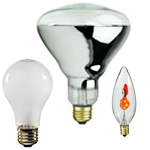 Metal Halide lamps, another popular option, are ideal for starting or growing plants. These lamps provide optimal spectral energy necessary for growth and are available in three classifications; standard, e-Start, and Eye Hortilux Blue. Conversion lamps provide growers with more freedom and flexibility when using their equipment. Eye Hortilux’s conversion lamps provide the ability to operate an HPS lamp using a metal halide ballast or a metal halide lamp with an HPS ballast. There are conversion lamps for both core and coil ballast types. Ballasts are necessary when growers operate high intensity discharge lamps. This provides the voltage required to operate the lamp. Hortilux’s ballasts are top quality and offer solutions to meet many lighting needs. Hortilux’s new PowerVEG T5 grow bulb is different from any other fluorescent grow bulb available on the market. It produces a well-balanced spectrum, in addition to providing UVA and UVB light. UV use is essential to plant health and higher fruit and flower yields.